Over 25 years ago, Los Angeles business litigation lawyer Robert G. Klein opened the doors of his business litigation law practice with the single-minded goal of becoming the preeminent business litigation law firm in Los Angeles. At the start, he made the decision to focus on fighting for fairness in competition in the business marketplace. His client base encompasses small to medium-size companies that mirror the type of businesses that are the backbone of local economies in Los Angeles and across America. Attorney Klein’s extensive trial experience gives him sensible insights into understanding and articulating the potentially devastating consequences that intentional interference with contracts, or business relations, can have on the reputations and finances of small businesses like yours. Equally detrimental to the operations of small business enterprises are public contracting disputes that result in breaches of contracts. Tortious interference asserts that a business competitor misrepresented information and crossed the acceptable bounds of “free speech” or “fair competition”. Usually, the plaintiff accuses the defendant of employing unfair business practices, such as breach of contract, to acquire customers, lure away valuable employees or otherwise divert business that the claimant deemed to be legally his. The actions must have a negative effect on the claimant’s day-to-day business operations and/or result in financial harm. The heavily regulated contracting process can be daunting. It is often a legal quagmire for even the most experienced corporations. Many of the bid, award and performance requirements overwhelm unwary contractors who are new to the world of governmental contracting. 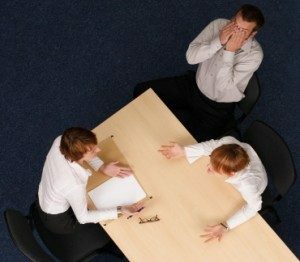 One misstep and you can find yourself involved in a public contracting dispute. Among business attorney Klein’s successful verdicts for his clients under California contract law is a $250,000.00 judgment against a public agency for breach of contract. As a Los Angeles business lawyer who accepts only a few commercial litigation cases, business attorney Klein personally settles or litigates every one of them. Attorney Klein will listen to you to get the details of your California contract law case. He will do the best he can to explain to you each of your available options and any possible consequences. It is important to him that you make the best legally informed business decisions for your company. If he cannot reach a settlement to your satisfaction, which is always his first choice, his opponent should prepare for trial with a contract disputes lawyer who will aggressively litigate your case. As his track record of success demonstrates, we assure you that your case receives the full force of his attention, as well as the impact of his substantial professional and financial resources. Contact our business litigation attorney to discuss your options.